Jack Louws, County Executive, admits to using approx. $28,000 of tax money to pay for this mailer. 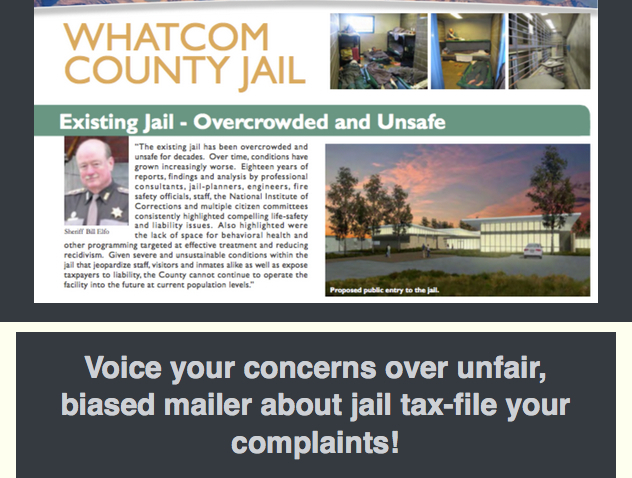 Read the complete text about filing complaints on the Whatcom County Community Report jail mailer here. This entry was posted in Campaign, Commentary, Complaints, Information and tagged Jail Mailer, Jail Sales Tax Intialtive, November 2015 Election, Whatcom County, Whatcom County Jail, Whatcom County Report to the Community. Bookmark the permalink.